I met with Sara after I was sick of doctors telling me to treat my one year old son's eczema with Zyrtec and Aquafor. Something didn't feel right about this so I met with Sara as I wanted to become educated about healing my son from within. She was so knowledgeable and patient with us - sharing her own struggles and how clean eating helped her children heal. I trusted her immediately and followed her food and supplement suggestions for him for 4-6 weeks. My husband and I saw a drastic improvement after 2 weeks, and continue to see his itchiness subsiding, him sleeping through the night again, & minimal flare ups. There is really something to be said trying to get to the root of the problem rather then masking the symptoms. Anyone would be lucky to sit down with Sara - we will continue to work with her. Thank you so much for all of your help and guidence over the past few weeks. 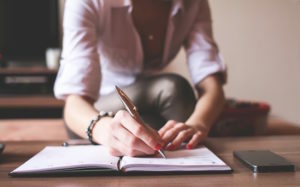 You are not only so approachable but you do a great job of breaking things down for us busy moms! You've done an amazing job with my daughter. The small changes we have made to her diet have really made such a difference. My husband and I can't believe it's the same kid sometimes! 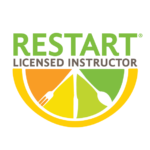 My husband, daughter and I did the RESTART Program in May. We are still following the program as closely as we are able given the summer time and so many cookouts. We have all lost an ideal amount of weight. My clothes now are comfortable whereas my husband needs an entire new wardrobe!! In addition to this he has lowered his fasting blood sugar by a substantial amount and is no longer in the pre-diabetic range! I have done other nutrition programs and RESTART is by far the one that makes the most sense. As difficult as it was for me to begin the program I have now made a "change in my way of thinking". I don't miss the snacking and I feel amazing. RESTART Program - Day 11 - Thank you! I am so glad I am doing the RESTART Program. In terms of the food, ease of making it and liking it, all is good there. Positives are: my hips and knees feel so good, none of my usual stiffness in the morning. I haven't been feeling bloated, my mind is more clear, and I'm sleeping more soundly. My husband is doing it alongside me. We are having fun, and are excited with new recipes and feeling good. His positives are: improved energy and the the arthritis in his big toe feels much better and he isn't taking medication as often to decrease the pain. The RESTART Program has opened up my mind to investigate the food I purchase and now I cook it and how it impacts my body. The changes I made have also had a lasting effect and positive impact on my family as they learned all the information I learned. I integrated the program into our household and made it a positive fun change. It is worth it! The RESTART Program is well worth the effort for anyone looking to improve their overall diet and health. Sara did a great job! RESTART was an incredible learning experience not only about eating in a healthier way but also living in a better way. It made the connections on why certain foods are better for you and how your body handles them. Understanding your body makes it easier to know what foods it needs.